German physicist Werner Heisenberg was a leader in physics, winning the 1932 Nobel Prize in Physics for his discovery of the uncertainty principle, which states that it is impossible to specify the exact position and momentum of a particle (tiny piece of matter) at the same time. 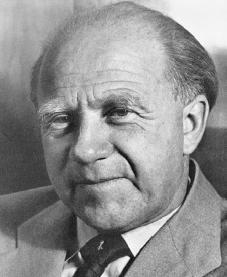 Werner Karl Heisenberg was born on December 5, 1901, in Würzburg, Germany, the son of August and Annie Wecklein Heisenberg. As a boy Heisenberg began playing the piano early and was playing master compositions by the age of thirteen. It was his father's commitment to academic learning, however, that led him to pursue the science he loved. He graduated from the University of Munich, where his father was professor of Greek language and literature. Heisenberg was also a regular hiker and an eager student of classical literature and philosophy. He amazed family and friends when he taught himself calculus (a method of computing in a special notation) and tried to publish a scientific paper as a teen. Even though his strongest interest in life was science, music was a lifetime companion for him. A hard worker, Heisenberg worked on a farm for three summers in order to pay for his tuition to the University of Munich. At the university, where he enrolled in 1920, Heisenberg soon established close contact with Arthur Sommerfield, a chief figure in early modern physics. After more hard work he received his doctorate in Munich in 1923. From there Heisenberg, on a Rockefeller grant, went to the Niels Bohr Institute in Copenhagen, Denmark, where he eagerly studied the most creative and up-to-date thoughts on atomic (related to the smallest particles of mass) theory. physics (physics that exists only in theory) at the University of Copenhagen. It was at Copenhagen that Heisenberg formulated the famous uncertainty principle, which states that it is impossible to specify the exact position and momentum of a particle at the same time. This was published in an article entitled, "On the Visualizable Content of Quantum Theoretical Kinematics and Mechanics." Heisenberg's "The Physical Principles of the Quantum Theory" is also considered a classic in this field. In 1927, at the age of twenty-six, he became professor of theoretical physics at the University of Leipzig. He received the Nobel Prize for physics in 1932. During this outbreak of academic activity, he married Elisabeth Schumacher. They eventually had seven children. As a theoretical scientist, Heisenberg was initially held in low regard and was even considered suspect by the Nazi (German party in control from 1933–45 under the leadership of Adolf Hitler [1889–1945]) government. However, when World War II (1939–45; a war that pitted Great Britain, France, the Soviet Union, and the United States against Germany, Italy, and Japan) began, the government appointed him as director of the German uranium (a dangerous element) project, and he worked on developing an atomic bomb for Germany. Heisenberg was arrested and placed in captivity in England from April 1945 until the summer of 1946. His role during the war continues to be a source of great debate. After World War II Heisenberg did much to reorganize scientific research. In the early 1950s he worked toward the formulation of a "unified [all-encompassing] theory of fundamental [basic] particles," stressing the role of symmetry (having balanced size and features) principles. This theory was discussed at length at an international conference in 1958. He presented his thought on this subject in the introduction to the Unified Field Theory of Elementary Particles (1966). In 1955 and 1956 Heisenberg wrote and published Physics and Philosophy: The Revolution in Modern Science. He also published the autobiographical (about oneself) Physics and Beyond (1971), as well as several books dealing with the philosophical and cultural significance of atomic and nuclear physics. Heisenberg retired in 1970. His health began to fail in 1973, and shortly thereafter he became seriously ill, dying on February 1, 1976, in Munich, Germany. Finkelstein, David. Quantum Relativity: A Synthesis of the Ideas of Einstein and Heisenberg. New York: Springer-Verlag, 1996. Heisenberg, Elisabeth. Inner Exile: Recollections of a Life with Werner Heisenberg. Boston: Birkhäuser, 1984. Rose, Paul Lawrence. Heisenberg and the Nazi Atomic Bomb Project. Berkeley: University of California Press, 1998.